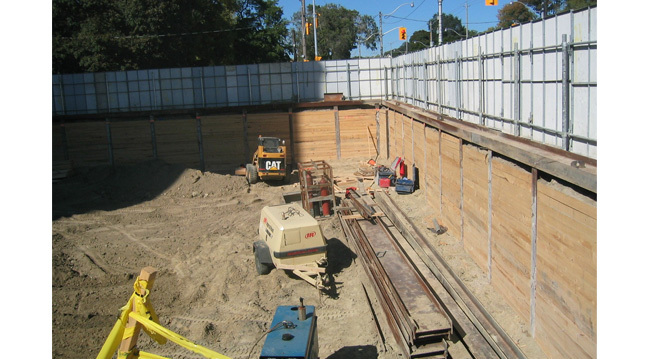 This site involved remediation of an old gas station site that experienced underground leaks in the tanks. Working in conjunction with our sister company, Quantum Environmental a raker,soldier pile and lagging system was installed. 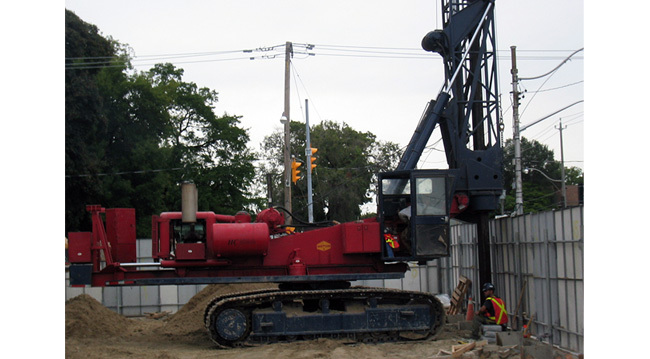 HC Matcon provided excavation assistance with a slot cutting procedure engineered to reduce the actual shoring depths in the design. Slots are filled with appropriate clean materials. When contamination was deeper than planned, HC Matcon devised special slot measures with strength back fill to cut around the rakers and complete the work, with no movement problems. The project was turned over to a developer by Petro Canada as “clean” for the purposes of a new development and its financing. 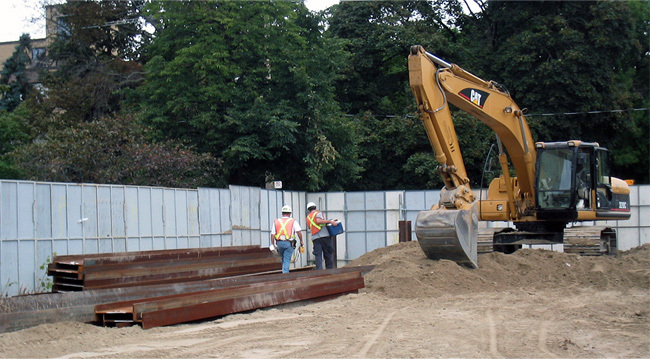 HC Matcon offers shoring solutions of all types for project challenges of all types.